I now have my first conference presentation behind me. And my first (I’m hoping there will be more) conference win. The event was the Media Research Group 2010 conference, held in Malta. The presentation was on Brandheld: Unlocking the Potential Value of the Mobile Internet (go here and here for more information on the project). And the win was the IPA/Simon Broadbent Award for the best conference paper. 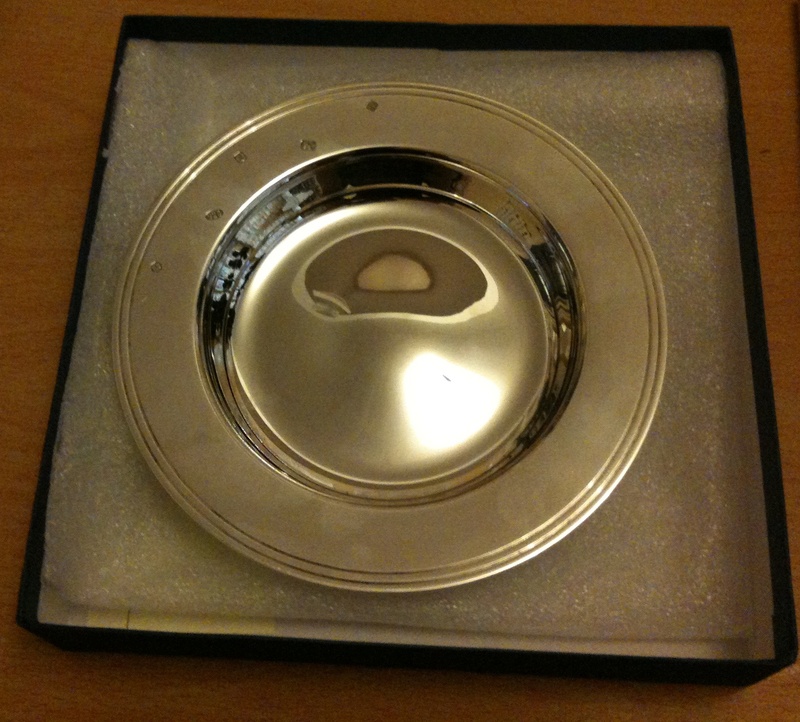 The award is pictured to the right (photographed under a light – it is actually silver) – I get to parade it around for a couple of days before sending it back to Lynne Robinson at the IPA to have it engraved. Winning this award was particularly satisfying as it was voted for by the conference delegates. I’m very appreciative of all of the nice comments I’ve received over the past couple of days. Subconscious Suggestion – I spoke to a fair number of people in a restaurant and bar the night before the voting. Since no-one can really say anything bad to my face, I received a lot of nice compliments. As the night wore on, memories of the conversation, and indeed my presentation, would become fuzzier, with people only remembering that they mentioned that the presentation was good. As for the conference itself, I had a good time and met some really interesting, friendly people – some of whom I knew already, some who I knew “virtually” and some I didn’t. James Myring of BDRC Continental drew the distinction between primary (using p2p or streaming sites) pirates and secondary pirates (via mixtapes/shared drives) and said that ethics weren’t really a barrier to people pirating. Instead it is IT issues – concerns over viruses or a lack of knowledge on how to find the relevant materials. It was probably missing because it is too hard to find people who admit to it, but it would have been good to have seen primary pirates split out into uploaders, seeders and downloaders. In sum, it was an enjoyable couple of days and it will probably take me an equal amount of time to fully recover. The conference programme ran without a (noticeable) hitch so big congratulations to Stuart McDonald and Neil Mortensen for an event that clearly required a lot of blood, sweat and tears to put on. Thank you once again to the people who voted for me. And congratulations to the other award winners – MediaCom for Best Media Agency, BSkyB for Best Media Owner, Ipsos MediaCT for Best Research Supplier and The Guardian for best research initiative. I hope to upload a “Director’s Cut” of the presentation within the next week (without the 20 minute restriction, I can expand on a few areas I had to gloss over, and I should also remove some of my bad jokes). I’m not yet sure what is happening with the videos of the event, but if they are put online I will link to them.